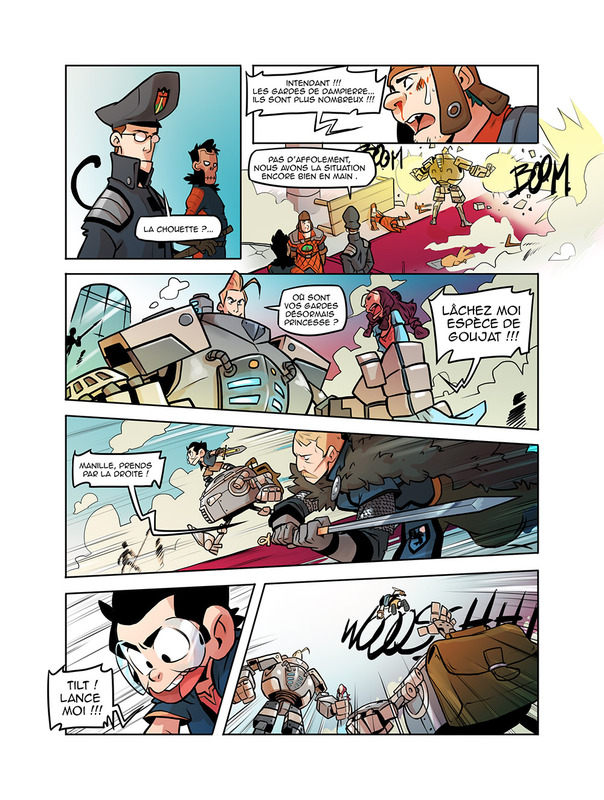 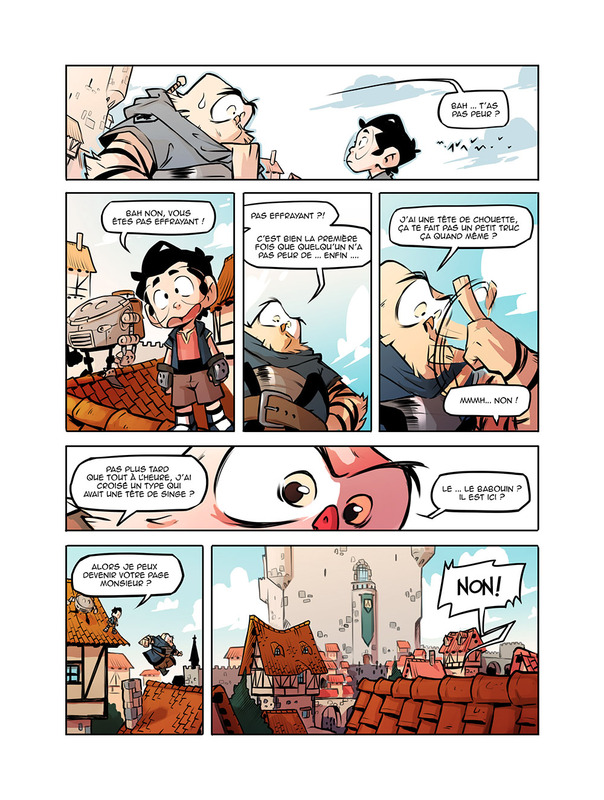 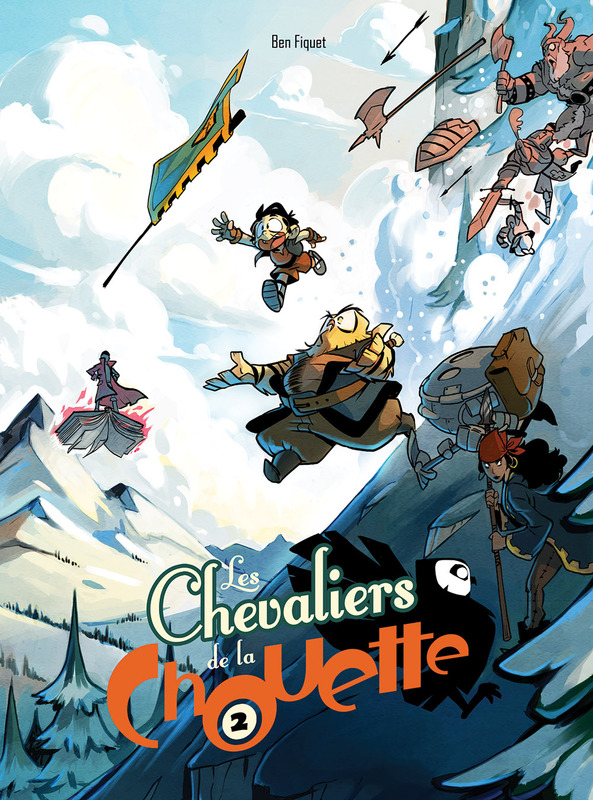 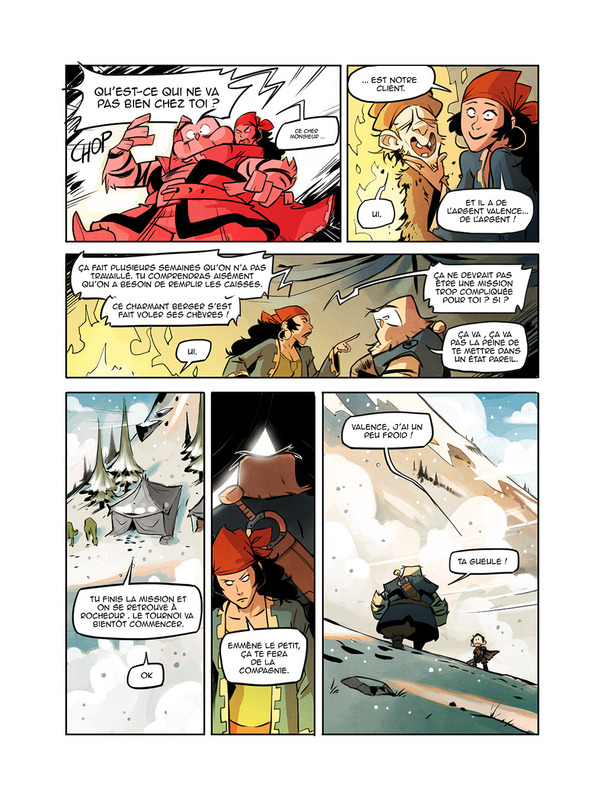 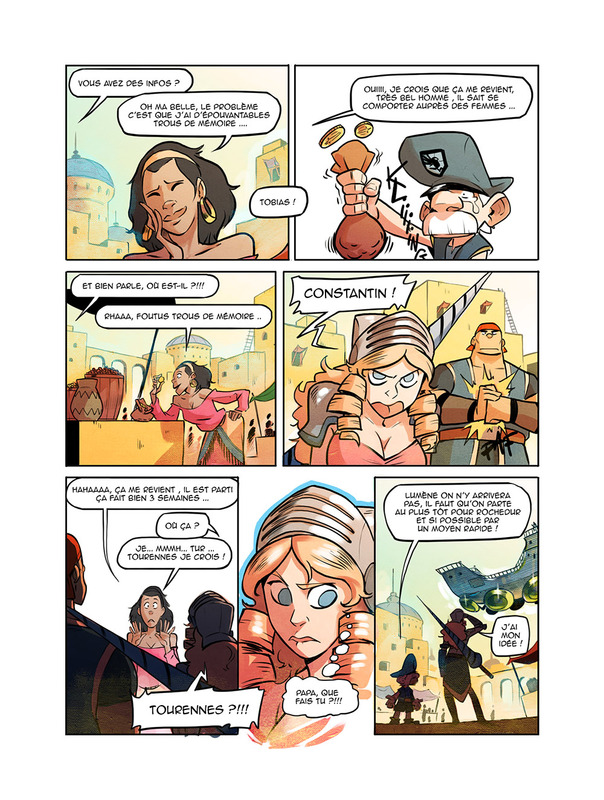 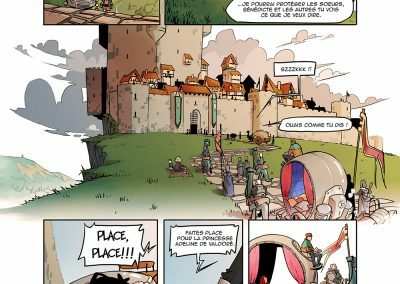 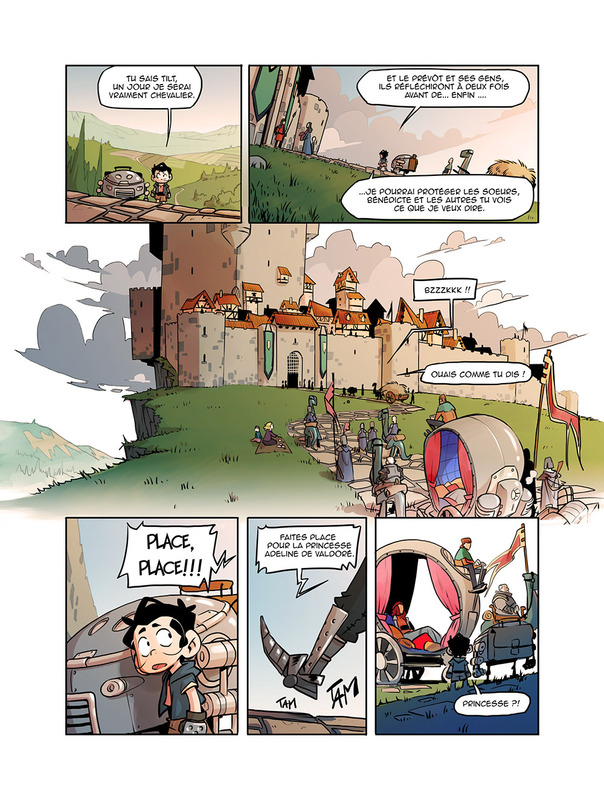 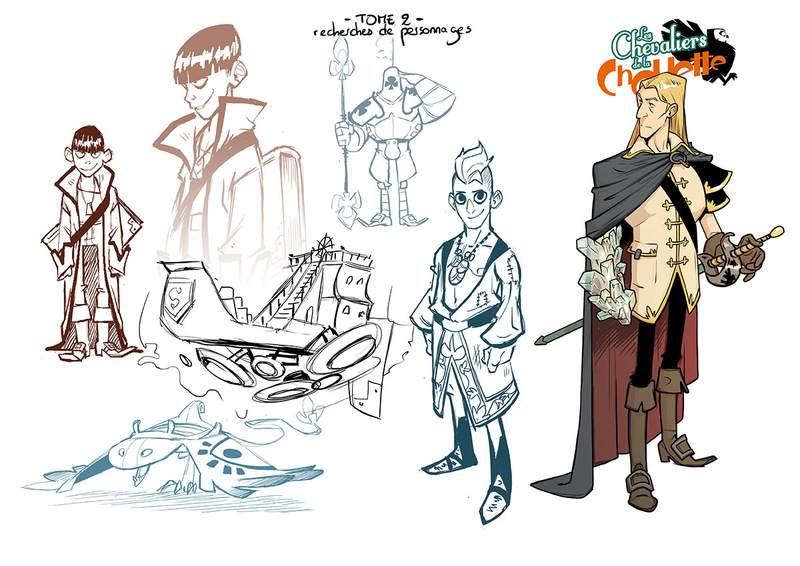 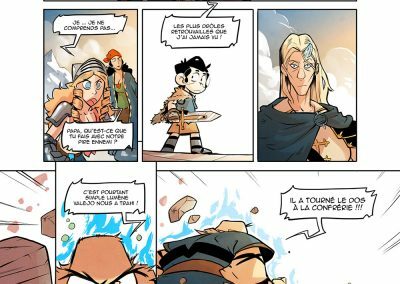 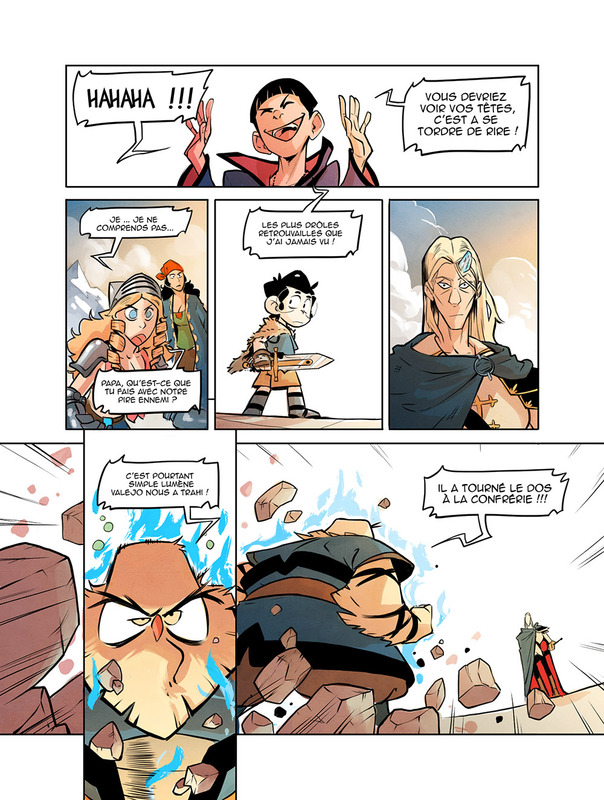 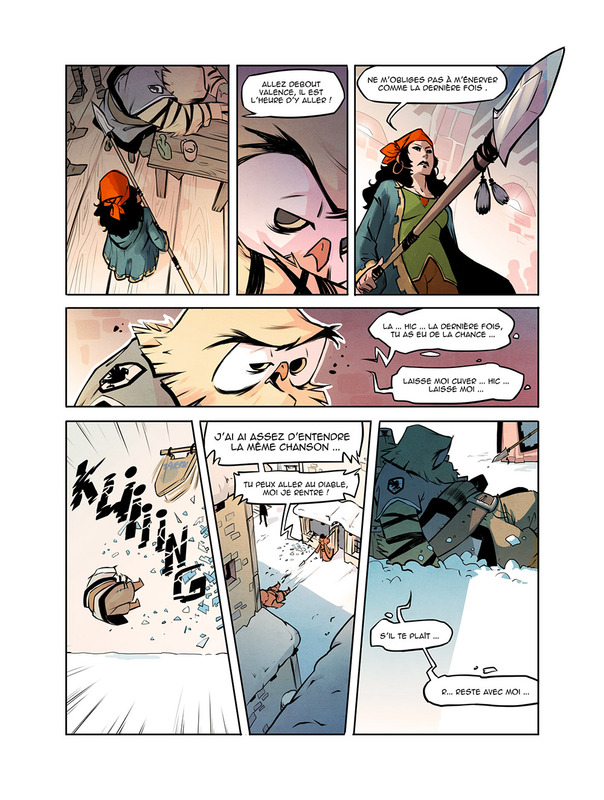 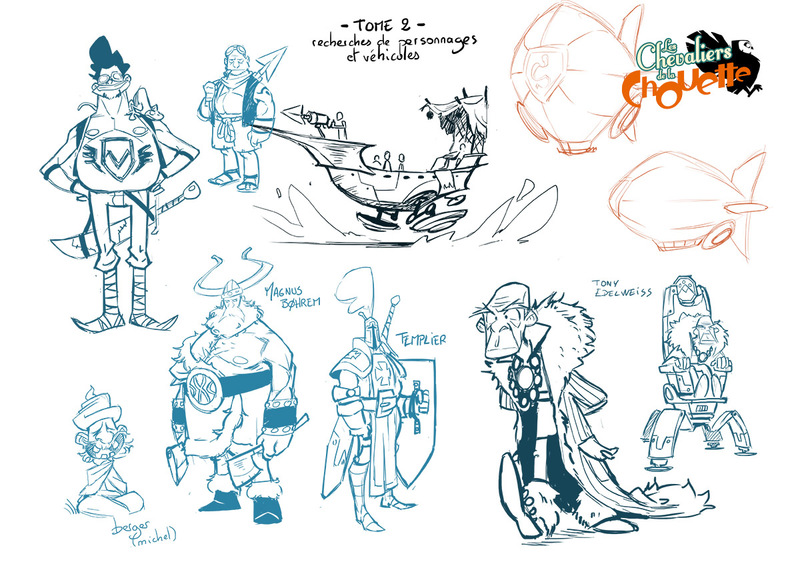 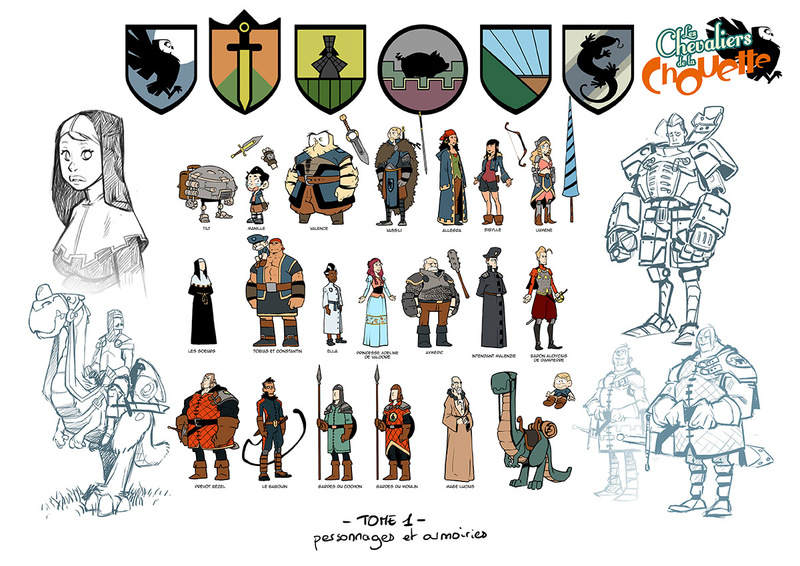 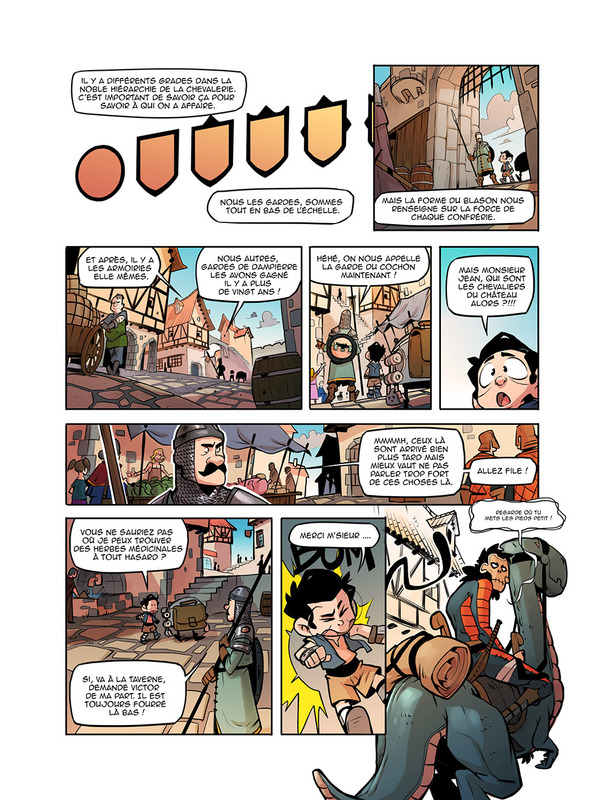 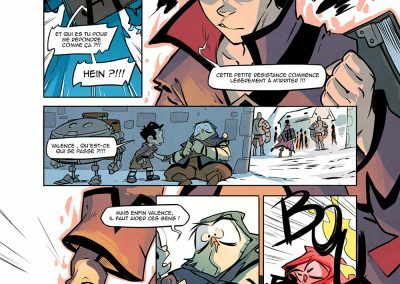 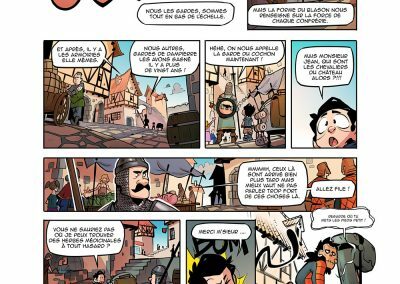 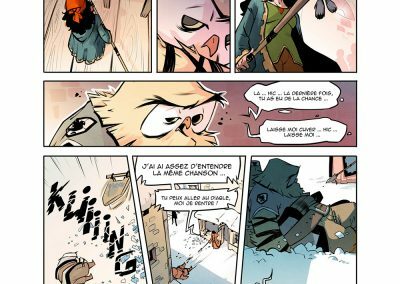 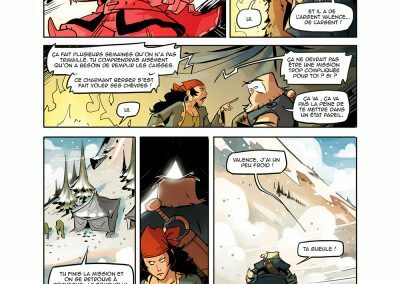 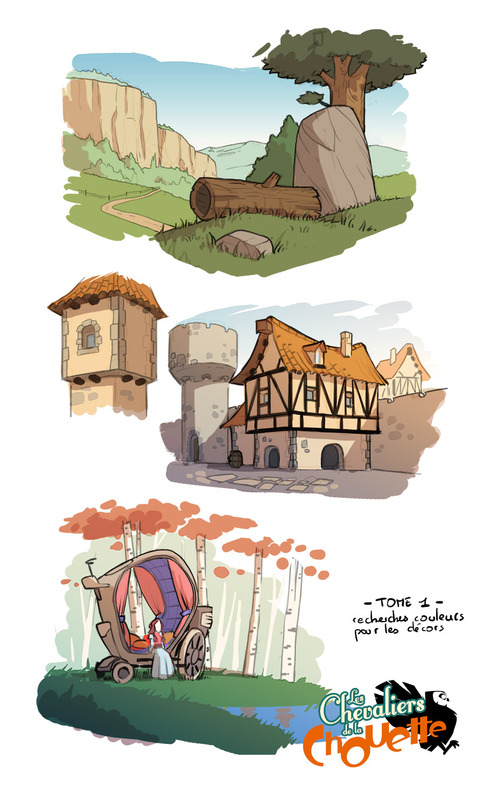 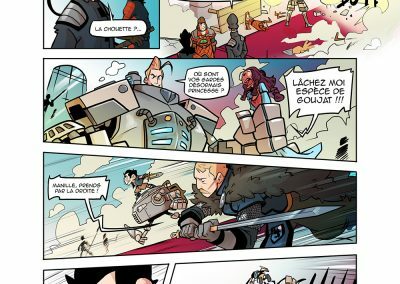 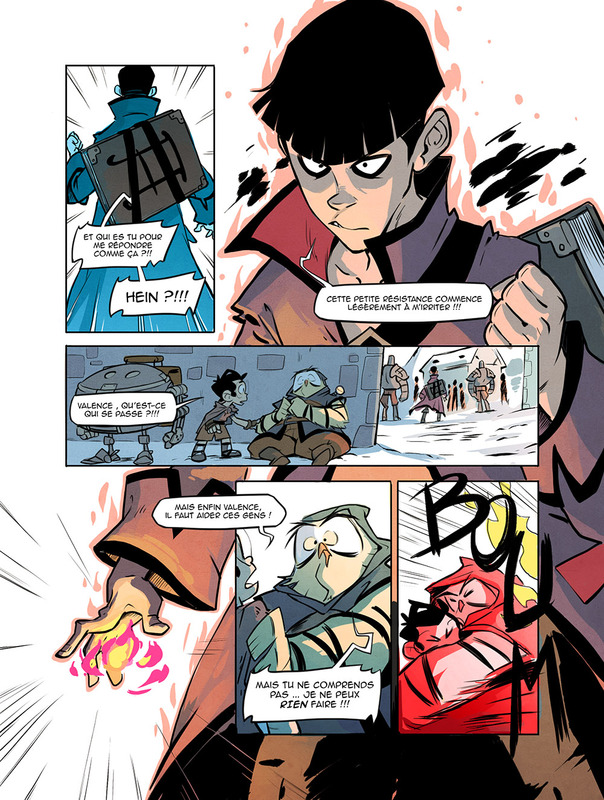 “Les Chevaliers de la Chouette” (2 volumes, Glenat Edition, 2014) is a comic book serie currently on hold. 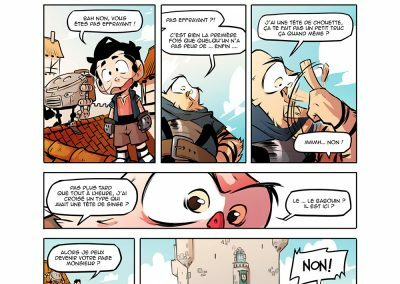 It follows the story of Manille, a young orphan and his robot friend Tilt who came across a strange brotherhood, the Owlknights. 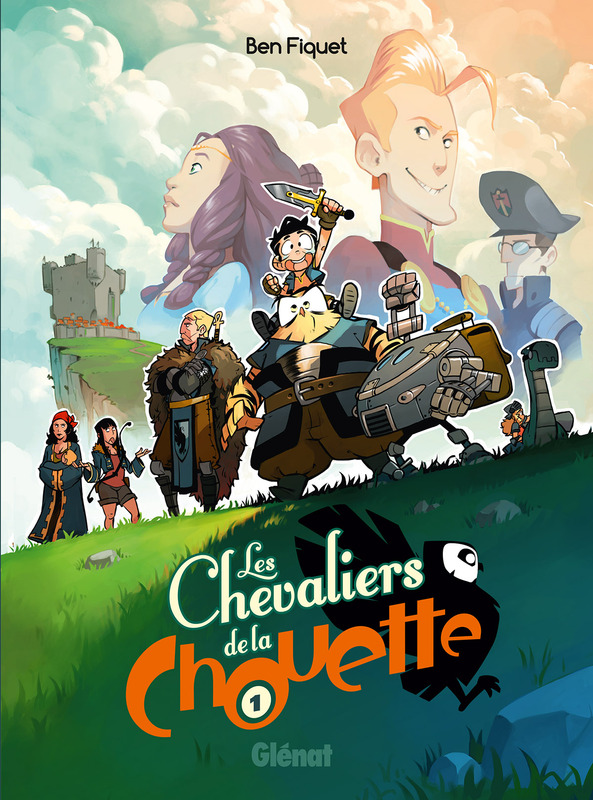 In a world full of Knights, Kings, magic and technology, they will have to face many challenges and ennemies and unravel the true story of the brotherhood.